Businesses across all industry are undergoing rapid transformations, enabled by digital technology and supply chain industry is not different. However, the changes within the logistic space did not stem from the organizations nor the industry itself. It was primarily driven by consumers, who increasingly demand more goods to be delivered at an unprecedented speed, piling on tremendous pressure on retailers, transportation companies and third-party logistics providers (3PL) to improve their supply chain operations. But transformation in logistics is not as easy as one would expect. On top of the usual legacy challenges such as manual data entry, antiquated paper-based systems, and a scarce workforce, supply chain vendors must deal with issues that come with only partial modernization such as proliferation in the amounts of data due to the internet of things (IoT), integrating modern warehouse capture devices, incompatible systems (what is compatible with paper?) and so forth. In certain operations, inbound and outbound appointment scheduling processes are still carried out manually. This might include phones calls and faxes between different departments, shipping facilities, fulfillment centers, and carrier vehicles. Those closed loops mean only some parties are privy to transportation schedules, and that limits any ability to communicate changes in itinerary to customers. Furthermore, the increasingly competitive market is being disrupted with younger, more agile startups who are digital natives, are not burdened by legacy systems, and who are deploying some innovative new technologies. Online retail giants Amazon is already trialing autonomous robots for its last mile delivery, while fully autonomous ships are a distinct possibility in the near future. Efforts are going at full steam to develop autonomous freight trucks, and freight-hailing drive matching services such as Uber Freight are gaining traction in the market, lowering the cost of switching for consumers. But it is not as if organizations are reluctant to transform. For the most part they are aware that getting onto the digital transformation bandwagon is not only beneficial but also necessary to stay relevant and competitive. The problem is that transformations are taking place in clusters. Separate elements within the supply chain are implementing technologies at different rates, leading to what’s referred to as ‘silo-fication’ of data, whereby information exists but is not interchanged or used to its maximum potential. And thus, improvement in the space must be holistic. This starts with implementing an efficient, digitized workflow that ensures transparency – allowing customers to track their consignments and be informed in case of delay or the need for additional documentation needed to get deliveries through, like import taxes. Workflow in logistics has to be automated and dynamic, with smart solutions that are able to differentiate and classify documents by type and content without lengthy human intervention. Smart solutions deliver immense value to the process: they minimize paperwork errors, speed up transactions, lower operational cost and allow human capital resources to be more focused. Finally, organizations need solutions that will feed them data (typically in reports or real-time dashboards) so that they can make better business decisions. Complex logistics management decisions such as carrier selection, load optimization, tracking of consignments and claims management are made much simpler with the right data available. These insights dashboards or reports have the potential to lower costs, which can be then be passed on to customers. Organizations must establish complete visibility into and control of their entire supply chain and transportation process, get rid of the silos in their systems and integrate all the data in real-time in a single platform. That way, logistics companies can improve operations and deliver better customer experiences. After all, enhancing customer experience to the point of creating brand advocates is now the key aim for organizations in the space. In short, businesses need to wow their customers! There are several solutions in today’s market which seeking to deliver increased efficiency and visibility into the entire logistics operation. Tech Wire Asia picked four providers whose offerings, we think, are creating something new in this particular space. BluJay Solutions offers integrated supply chain software and services that address all areas vital to global trade – transportation, parcel, warehouse, mobile workflow and delivery, and customs management, as well as freight- forwarding and compliance. Powered by the Global Trade Network of 40,000+ connected partners, BluJay’s offerings are proven to increase the speed, efficiency, and accuracy of your supply chain, all the while delivering that much-coveted visibility and transparency for partners and customers. Its flagship Transportation Management for Shippers is available as a cloud-based solution (software-as-a-service – SaaS) or on-premise. BluJay’s TMS enables full tracking and tracing of cargo throughout the shipping cycle. Its extensive integration capabilities link financial accounting systems, customs and compliance solutions, as well as to providing information to customers, trading partners, and industry portals. The solution is designed to support global businesses and can be configured for as many levels of corporate structure as necessary – ranging from SMEs operating regionally, to multinational giants with thousands of operators worldwide. Its Web Services framework and standard APIs also allow for efficient data sharing among all the relevant parties in an open, scalable yet secure manner. BluJay’s configurable workflow is a key to its solution. User-defined options allow businesses to set up processes that comply with individual customers’ operating procedures and preferences, thus satisfying the imperative need for ‘personalized service’ that predominates today. You can read much more about BluJay’s solutions here. Manhattan Associates gives businesses complete supply chain visibility, with its portfolio named after variations on Active (Active Inventory, Active Omni, Active Supply Chain). That reflects the on-going nature of changing the environment that epitomizes today’s logistics businesses – after all, twenty years ago, who could have imagined the rise of Alibaba or Amazon? There’s more to the company’s reach than logistics, however. Manhattan is one of the few suppliers featured here that has a POS solution that integrates in with warehousing, distribution, global logistics, and so on. That means today’s consumers’ needs for omnichannel services are covered off with one supplier. The spending power of the big players in the market has meant that end-users now expect – as standard – highly complex services: buy online from multiple marketplaces, partially return orders in-store, global shipping, no customs & excise hassles, and so forth. With Manhattan all that sort of capability is baked in, so even “mom and pop” stores can compete on the same footing as the Rakutens of this world, without needing budgets that stretch into eye-watering figures. We’re featuring Manhattan Associates’ offerings in more detail here in the near future, so watch this space for an in-depth profile of the company. Oracle Supply Chain Management (SCM), its transport management toolset offers features that will help with operational planning, transportation intelligence, fleet management, freight payment, and billing as well as carrier sourcing; all within a single suite. 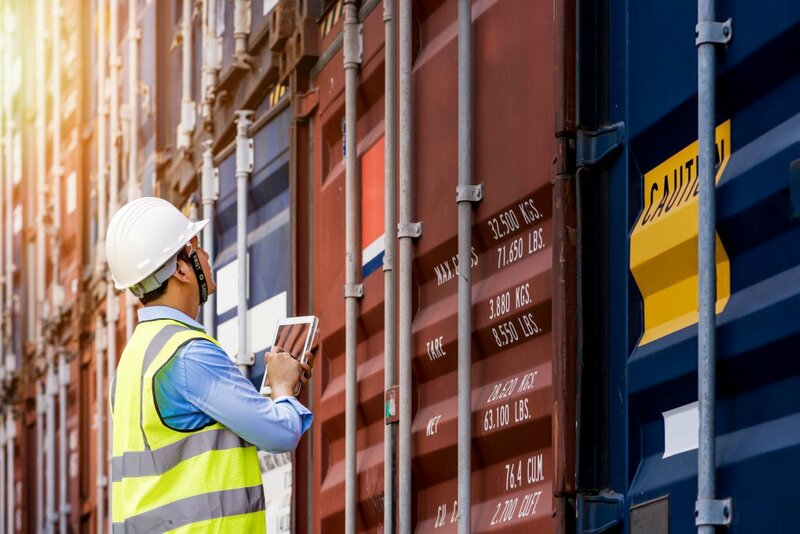 Oracle Transportation Management solutions, designed to bolster both delivery and logistic service providers, manages all transportation activity in a company’s global supply chain. The system combines high levels of ease of use and some industry-leading functions to enable companies to be more cost efficient, achieve service level optimizations, and increase process automations seamlessly. For example, operational planning is made somewhat simpler by Oracle’s optimization engine automatically determining the ideal logistics solutions for a specific business, and executing both domestic and international deliveries from one system. The solution also features a logistics dashboard for operations to provide granular visibility into transportation data, which not only sends real-time updates but also monitors long-term business metrics, benchmarks and forecasts. With highly-scalable solutions, E2open multi-enterprise integration and multi-enterprise business process management capabilities enable its clients to automate and manage intercompany orders, inventory, and forecast processes. The E2open Supply Management solution suites automate and streamline the transfers or exchanges between companies and their suppliers, providing multi-tier visibility that is traditionally impossible to achieve using manual processes. One of the ways the solution help achieve that is by establishing an audit-ready, validated, electronically authenticated and archived paperless workflow that’s locally and internationally compliant (in over 50 countries). The electronic invoicing system help partners to build trust and confidence. Establishing confidence between partners is crucial in creating a robust supply chain network, and E2open seem to understand this clearly.